This video contains photos of the RMS Titanic, and two short (original) films – including scenss from the recent James Cameron film: TITANIC. 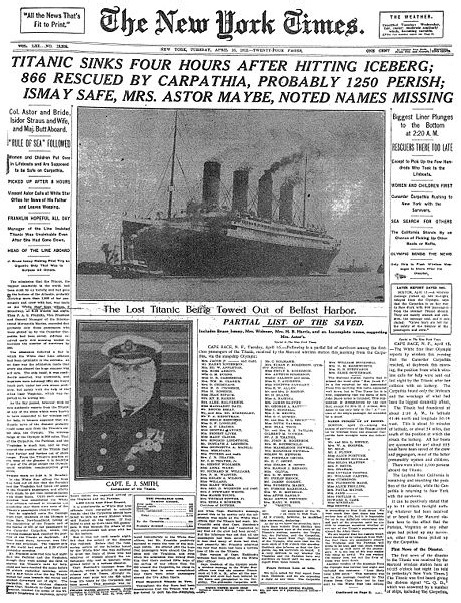 Cover of the New York Times. Previous: The 747 is 40 Years Old Today. Cruising the Past celebrates the 40th Anniversary of the first commercial flight of a Boeing 747 aircraft. It was flown by Pan Am between New York and London.